YouTube now supports HDR playback on the new iPhone XS and iPhone XS Max with the latest update. It’s been a while since the new iPhones have been with us but it was only yesterday YouTube added support for HDR video on its official app for iOS. If you either have an iPhone XS and iPhone XS Max, then you can take full advantage of the HDR content available on YouTube. Previously, HDR support was only limited to iPhone 8, iPhone 8 Plus and iPhone X on the iOS side of the fence. But thankfully, owners of Apple’s new smartphones can now take full advantage of high dynamic range content. Keep one thing in mind: while you do have the option to view content in HDR, but you are still limited to viewing content in 1080p resolution at best, which is somewhat mediocre given that Android users have been able to enjoy content up to 1440p like it’s a walk in the park. But that’s not the entire story: this dismay extends to Safari on the Mac as well where Apple’s hesitation to adopt Google’s VP9 codec is keeping things ashore. Remember, the codec actually allows you to save a lot of bandwidth while offering the same quality on the go. Also, since this codec is absent from Apple’s mobile platform, therefore the company is yet to see its smartphone or tablet lineup in YouTube’s Signature Device program whereas every HDR-toting Android device is casually walking those halls. Will Apple adopt VP9 soon? We can’t say. 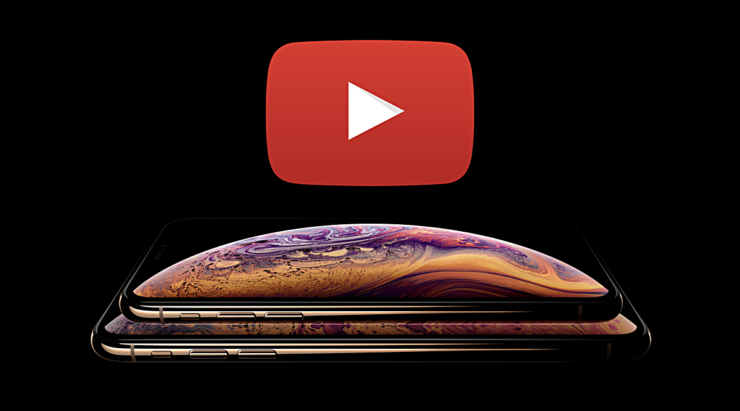 But what we can say right now is that you are ready to consume some HDR content on your iPhone XS and iPhone XS Max if you install the YouTube app right now.